Leading Exporter of buffalo cheek meat, buffalo kidney, buffalo tongue, buffalo neck band, buffalo frozen omasum and buffalo salted omasum from New Delhi. Our company has been involved in the production of Buffalo Cheek Meat to our clients. The cheek meat that we provide to our customers is accurately hygienic and has high protein value, rich in taste and flavour. Our cheek meat is safely stored by using modern technology as per our company norms. Forgetting client’s satisfaction, we offer this cheek meat at affordable rates from other places. We have gradually become the big association; we are busy in presenting a wide range of Buffalo Kidney at the most competitive prices. 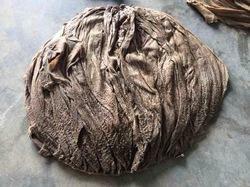 This buffalo kidney is provided by us is processed by using hygienically cleaned buffalo with the help of experts & latest blades for cutting. We always try to make sure that the meat provided by us is of top quality and processed and preserved by using the latest technology obtainable in the industry. 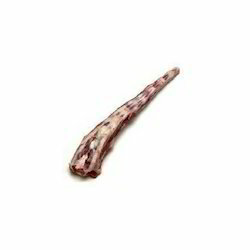 We always be a big entity & engaged in presenting a vast range of quality proven Buffalo Tongue. The buffalo tongue is derived from the hygienically cleaned buffalo that is free from any kind of diseases processed under hygienic environment. We store this meat at special cold storage system so that we can retain the quality and avoids the meat to expire our corporation has been serve the customers from many years with the after taking the whole requirements of customers. We are one of the leading exporter, manufacturer & supplier of Buffalo Neck Band. We are a big enterprise engaged in the manufacturing, trading, exporting, distributing, importing & supplying of Buffalo Frozen Omasum. The provided Frozen Meat is free from any type of contaminating particles keep in a cool and hygienic place. This is extremely demanded because of its high nutritional values & rich in taste attributes. At reasonable rates our customers can buy this from us. We always have customer’s satisfaction in our mind; we are a renowned name in offering Buffalo Salted Omasum to our customers. This salted omasum is provided from hygienically clean buffalo skin which is free from any kind of contaminations and diseases. Our provided meat is rich in taste & easy to cook. Also, it is extremely demanded because of its several cooking usages for many dishes. 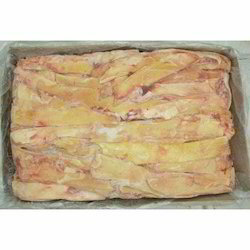 Our valued Customers can buy this buffalo meat from us at reasonable rates from others. We are a big entity in providing quality range of Buffalo Tail. This buffalo tail contains high nutritional value and also hygienically processed with the usage of common technology. The provided tail is free from any kind of preservatives and quickly cooked during cooking. What’s more, it is provided at reasonable rates for our respected customers at well packaging material. 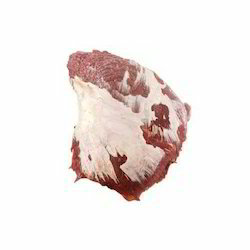 We are one of the leading exporter, manufacturer & supplier of Buffalo Tripes. Along with latest technology in all our processes, we are manufacture, trade, export, distribute, import and supply a distinguished assortment of Frozen Paddy Wack. Our experts take lots of care to give you rich in taste meat with a high nutritional value. This frozen meat is processed at hygienic conditions with strict industrial standards. The levels of freezing for the frozen meat are adjusted by our experts so that the meat will retain fresh without hampering the taste. We offer meat for our valued customers within the given time frame and secure packaging circumstances.